Each year during the first week of February, faith communities across the globe celebrate the diversity that makes them special. For some, these World Interfaith Harmony Week celebrations take the form of special programs, conferences and other public events. 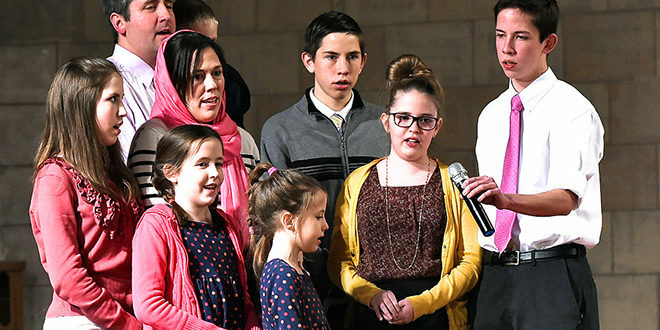 In Syracuse, where the local celebration began nine years ago as World Interfaith Harmony Assembly, organizers decided to move the event around each year to various faith communities. This year, Southern Missionary Baptist Church, located at 3143 Midland Ave., will host the 90-minute program. It begins at 6:30 p.m. Monday, Feb. 4. First established in 2010 at the United Nations General Assembly by King Abdullah II of Jordan, World Interfaith Harmony Week fosters mutual understanding and inter-religious cohesion to promote harmony between all people, regardless of their faith. In Syracuse, song, dance and literary readings are mainstays of the program. “This gathering provides our entire community the opportunity to discover the interfaith collective,” said Gracious Moyo, InterFaith Works’ director of Interfaith Initiatives. For more information on this event, contact Daryl Files at (315) 449-3552, ext. 208 or email her at dfiles@interfaithworkscny.org.